Phoenix Donation Screening Announcement 2017! We are delighted to announce that this year’s donation screening at the Phoenix Cinema will be ‘It’s a Wonderful Life’. “Merry Christmas, movie house! Merry Christmas, Emporium! 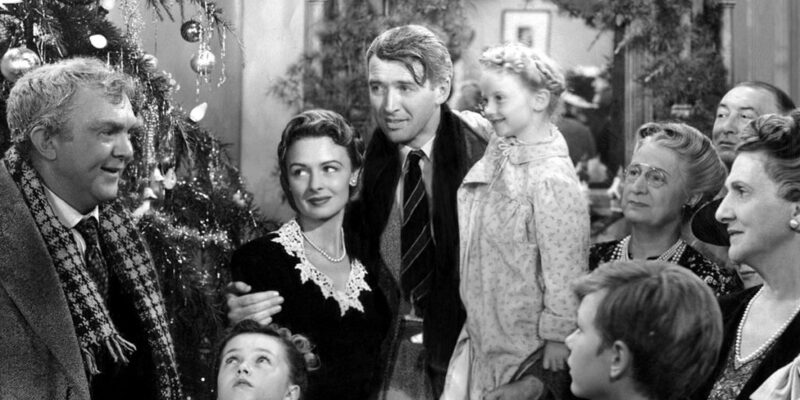 Merry Christmas, you wonderful old Building and Loan!” Often cited as the best Christmas movie of all time, Frank Capra’s nostalgic 1946 ode to family, community and the power of redemption is a strong contender for greatest movie ever made. Jimmy Stewart plays George Bailey, a frustrated businessman who, over the course of one night, discovers the true meaning of Christmas. The donation screening will take place on Friday 8th Dec at 7.30pm at the Phoenix Cinema, Leicester. Please provide a donation from our Christmas Wishlist in exchange for a free ticket. You can find our Wishlist here. For more details, check out the Phoenix Cinema website.